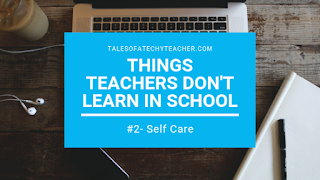 As the title indicates, I am going to write a series of blog posts about the things you don't learn during your undergraduate education as an education major. 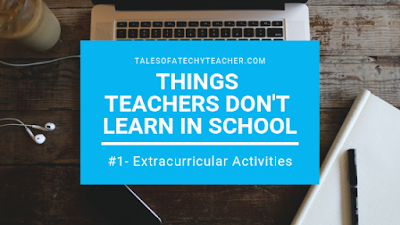 Today's focus: extracurriculars. This is a topic I feel particularly passionate about and if you've read my other posts, you may have caught onto that, so here we go. Blender is an incredibly powerful 3D modeling tool and it can seem intimidating initially. This article will help you create your first project in Blender so that you can see how incredibly fun it can be as well. so for that you can watch thefree Blender Basics course on cgcookie.com. If you haven’t downloaded Blender yet or need to update, you can find it atblender.org/download. This article uses version 2.80. To begin this project, delete everything in the default scene and create a mesh cylinder using the Add menu. dimensions to be 2.6, 2.6, and 4.83 for the X, Y, and Z values. Switch into Edit Mode for the Cylinder, and add a loop cut with the hotkey Ctrl+R. I love audiobooks and at the recommendation of a good friend I am currently listening to Daring to Lead by Brene Brown. The part I am at talks about the importance of vulnerability. When speaking with another good friend tonight, she referred to vulnerability as "sharing your humanness". I don't think vulnerable is something most teachers are comfortable, but as I tell my students leadership is an uncomfortable position. The rest of this post is me sharing about a challenging situation because I think it is important to be more honest about how this is part of our daily grind. As you may know from previous blog posts, I am a high school teacher by day and a martial arts instructor by night. Over the course of the last month, the power of belief has stood out to me in both places. At ATA martial arts, we say that belief is "yes, I can" and we talk about the importance of belief in yourself and belief in others. One of my favorite parts of the ATA Legacy program is how it helps students to grow as people, not just as martial artists. Earlier this school year, one of my seniors asked me what the hardest part of teaching high school was. I shared with him that I as a teacher, become very invested in my students. I want to see them succeed and find their passions. I spend 4 years guiding and watching them grow, and then they leave. 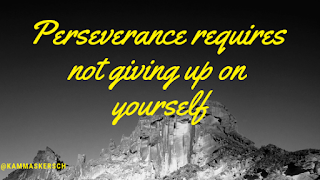 I never hear from most students to find out how they are doing and how things turned out after high school. A colleague compared it to starting a novel and never finding out how it ends. 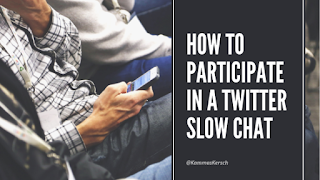 Looking to participate in a Twitter Slow Chat, but not sure where to start? I've got you covered. Step 1- Make a Twitter account and make sure it is public so others can read the responses you are contributing to the conversation. Step 2- Find your chat. There are tons our there! Here is a great list to get started. Step 3- Participate at the scheduled time using the #hashtag that the chat uses. All chats have their own hashtags. Most chats use a Q1 A1 format. This means that when the chat starts, the host will post Question 1. To respond, start your tweet with "A1" and make sure you include the hashtag (#) for that particular chat. A slow chat is exactly what it sounds like, a slowed down version of a typical chat. Most chats take place in 1 hour and include 6 questions. A slow chat is over days instead of minutes. A question is posted each day and throughout that entire day participants respond to the prompt as well as to each other.